"To change the world we have to change education"
Tim Draper, legendary Silicon Valley venture capitalist founded Draper University in 2012 with a vision and belief that in order to change the world we have to change education. Draper University aims to teach entrepreneurship globally in an entirely new way. 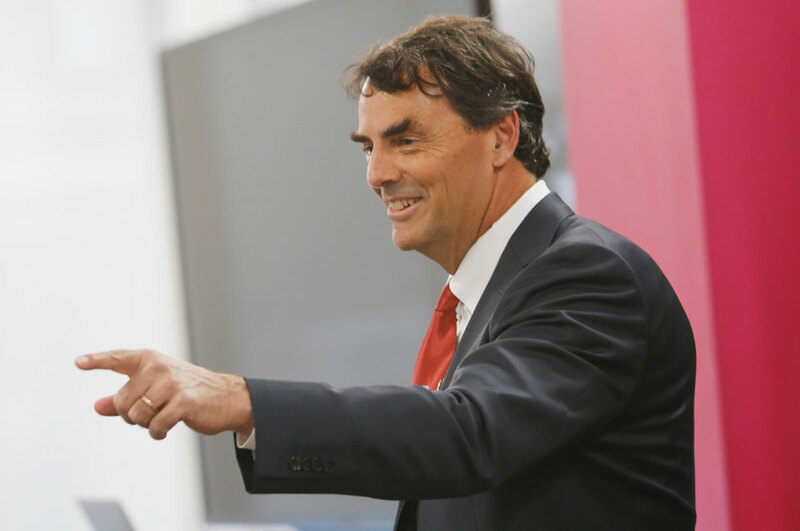 Through hands on training, an innovative curriculum and thought leadership Tim Draper brings together young entrepreneurs, startup founders, executives and investors all under one roof. Tim Draper has deep roots in entrepreneurship and venture capital with a rich background that started by founding Draper Associates in 1985. Tim is thrilled to be leading the charge to disrupt entrepreneurship education and is excited to have Draper University as the star of the show in the new ABCFamily series StartupU. Tim Draper founded Draper Associates in July, 1985, which when joined by John Fisher and Steve Jurvetson became the venture capital firm Draper Fisher Jurvetson (now DFJ). Investments include Skype, Hotmail, Tesla, Baidu, Theranos, and Overture, among many others. With Draper Associates, investments include Twitch.TV, YeePay, Indiegogo, Docusign, Parametric Technology and AngelList. He is the creator of viral marketing, a marketing method for spreading a software application from customer to customer, instrumental to the successes of Hotmail and Skype among hundreds of others including Gmail and Yahoo! Mail. He founded the DFJ/Draper Network, a global network of venture funds who work together to improve service to entrepreneurs, covering 30 cities around the world. He has been listed as #46 of the most outstanding Harvard alumni, #7 on the Forbes Midas List, #1 Most Networked Venture Capitalist by Always On, and #98 on the 2014 Worth Magazine 100 Most Powerful People in Finance. He has won numerous awards and honors and is regularly featured in the press as a leading supporter of entrepreneurship. He served on the California State Board of Education in 1998-­1999, and led a movement for Local Choice in schools culminating in becoming proponent for a statewide initiative for School Vouchers in November, 2000. He currently leads an initiative to create six new states in California (SixCalifornias) to encourage competition and choice in government. In 1994, Tim created a non­profit for young children to learn about business and entrepreneurship called BizWorld, a 501c3. In 2011, he created Draper University of Heroes, a residential and online school based in San Mateo, Ca to help extraordinary people accomplish their life missions.